HOT DEALS: Our Top 5 Blu-ray player bargain buys | What Hi-Fi? 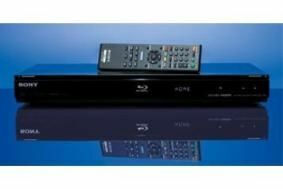 You may have seen those Blu-ray ads running on the telly recently, and been tempted to buy a Blu-ray player in the post-Christmas sales. If you are, there are some amazing deals right now – act quickly, and you'll avoid the VAT increase coming into force at midnight tonight (December 31st). 1) Sony BDP-S360: £99 from Sevenoaks Sound & Vision with three free Blu-ray discs (limited stock). 2) Sony BDP-S560: £213 at Sound & Vision. Essentially offers the performance of our Award-winning Sony BDP-S360 with the wi-fi benefits of the Sony BDP-S760. 3) Sony BDP-S760: £305.95 from Amazon. Our 2009 Blu-ray player Product of the Year with built-in wi-fi. 4) Philips BDP3000: £97 at Dixons. 5) Samsung BD-P1580: £99 from Sevenoaks Sound & Vision. John Lewis is also offering a selection of TVs with a free Blu-ray player on its website.